Congratulations! 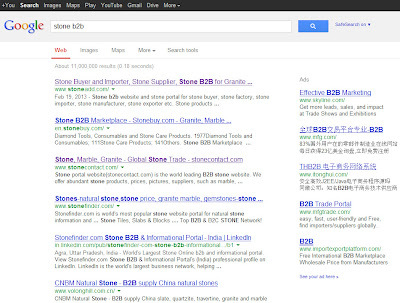 When you search "Stone B2B" website by Google search engine, our website www.stoneadd.com in the first ranking. 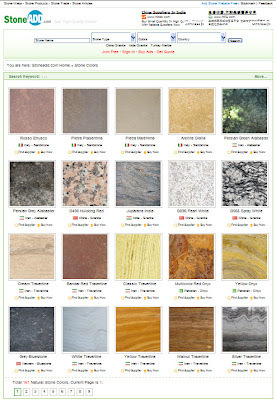 We are the professional stone b2b marketplace for global stone buyers and stone suppliers! Welcome stone suppliers, stone quarry, stone factory, stone manufacturers, stone exporters to choose our promotion service! 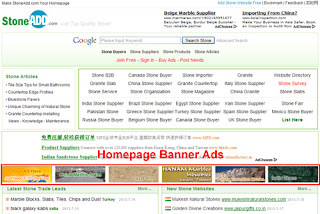 The banner ads on www.stoneadd.com homepage is very popular, we can guide global stone buyers to your company every day. Currernt Promotion Cost: USD 150 for one year.